These bright tropical and beach themed Flip Flops Address Labels will trigger happy beach memories each time you see them. Featuring 4 pictures of brightly colored flip flops in a variety of vacation settings, these labels are fun and will make you smile. 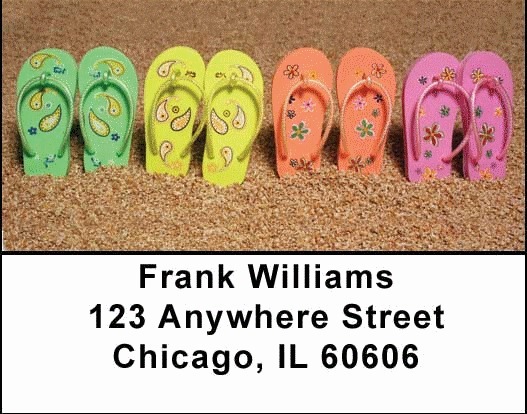 Enjoy these Flip Flop Address labels which are self adhesive. Matching checks are also available.